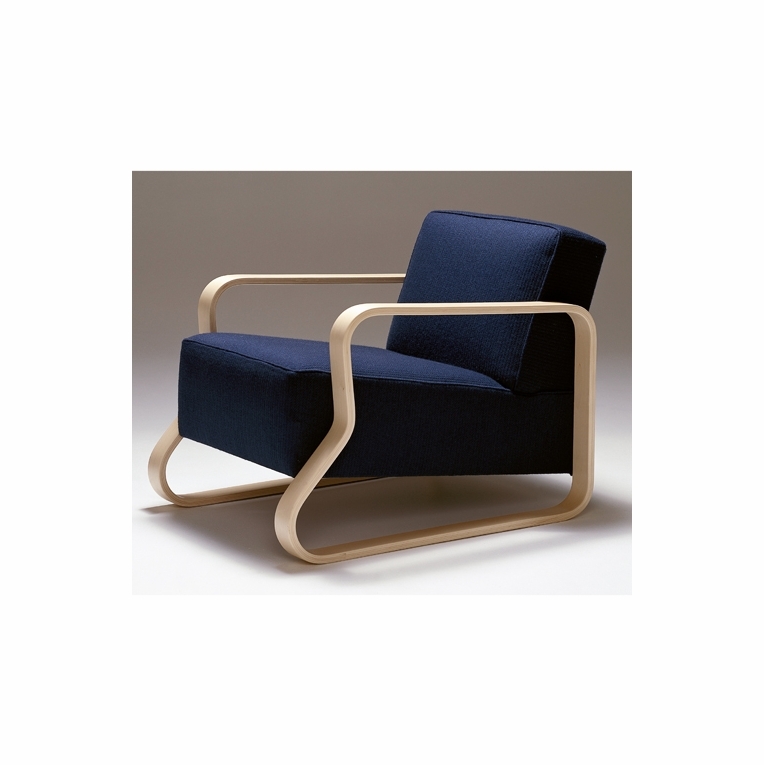 The low-set Aalto Lounge chair was first designed by Alvar Aalto in 1935. Aalto developed a revolutionary technique for bending thick layers of birch laminate into indented closed loops. These pieces were used as elegantly curved frames for a number of ground breaking furniture products; including this chair. A uniquely connected armrest and frame has become the signature feature of the stunning 44 armchair. Made in Finland by Artek. Currently shown in blue gabriel upholstery.Please review our Shipping Information page before ordering. Payment: 50% will be charged at time of order, remainder will be charged at time of shipment.